It is with great sadness we announce the sudden passing of Mick Hardwick – past-player and a club stalwart. As a junior Mick (or ‘Sugar’ as he was affectionately known) was a devastatingly fast bowler, who, following the trend of the day for lengthy run-ups, would often push off the wall at the Summerhill Lane end of the ground to start his long run-up. Mick opened the bowling for the club’s 1st XI for many years, and took 216 wickets with a best of 7-34 at Follifoot in 1983. When he got a little older Mick discovered the delights of Newcastle Brown Ale, and the lightning speed was gradually replaced by a metronomic accuracy. Sooner than I thought he should Mick dropped himself from 1st XI cricket to captain the 2nd XI during 5 seasons: 1986 & 1987, then 1990 & 1991 and finally in 1995. In 1985 Mick won the Airedale-Wharfedale League’s bowling award for 2nd XI and to add to his total of 216 wickets in the1st XI he took also took 484 wickets for the 2nd XI, including 8-76 against North Leeds in 1985. Adding on a further 13 wickets in the 3rd XI, Mick finished with an impressive tally of 713 wickets during his career at Steeton. Mick’s batting was not his forté and he would often ‘pad-off’ the first delivery…although not necessarily on purpose! However if the opposition did not dismiss him early Mick had a good ‘eye’ and if a naive bowler landed it in his arc he would happily dispatch it for six. Mick hit 62 sixes in his career and they helped propel him to 3 half-centuries, including a top-score of 77* runs at Bilton in 1981. Mick’s fielding was top-notch with an agility which belied his physique. He had great hands and would rarely drop catches…testified by his 159 catches for the club. Mick also had short spells at Long Lee CC, Silsden CC & Skipton CC so his personal career tally of wickets and catches will have been impressive. Off the field Mick always had the good of the club at heart & was a keen clubman; which included running the 200 club for many years, ran several junior sides over many years, organising the annual dinner, helping on the bar and many other jobs. 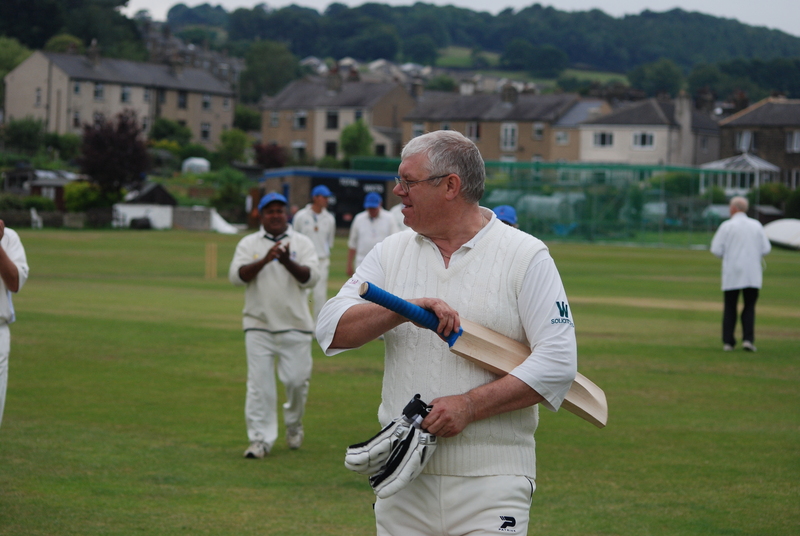 More recently Mick took up umpiring and was occasionally at Steeton to umpire. Rarely seen without a smile, Mick will be sadly missed.